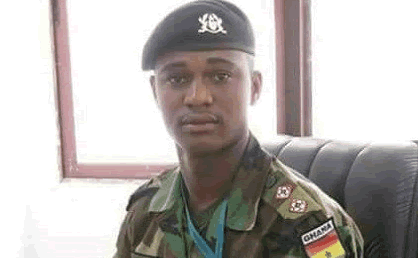 The Criminal Division of the Accra High Court on Monday encouraged five out of the 14 accused persons involved in the murder of Major Maxwell Mahama to engage the services of lawyers, who would defend them on the next adjourned date. Joseph Appiah Kubi, John Bosie, Bismark Abanga, Kofi Nyame and Kwadwo Animah, are the only ones among the accused without any legal representation. The trial Judge required why they had not engage the services of a lawyer but most of them said they had no money. The court presided over by Ms Justice Mariama Owusu, a Justice of the Court of Appeal with an additional duty as a High Court Judge adjourned case to March 21. She told the State and previous lawyers of the accused to help secure lawyers for the other five accused. She said if the search was unsuccessful by the next adjourned date, she would assign lawyers to the accused. The Court of Appeal Judge also adjourned to enable the court constitute a jury to commence the trial. She said the challenges the court faced was to get jury members, whose ages were not close to their retiring ages. “All the people we are getting are almost at their retirement age, most of them are 58 years and if the trial does not complete by the time they are 60, it will delay the process, thereby having to get another set of jury to continue the trial,” she added. She, therefore, called on the Judicial Service to liaise with the court to ensure a group about 13 to 15 members are constituted from which the seven-member jury would be selected. On January 11, 2018, the 14 were committed by an Accra Central District Court, which found that there was enough evidence against them to stand trial on the charges preferred against them. They were among 22 persons arraigned before the court on charges of murder and conspiracy to commit murder. Eight of the suspects were however, discharged as according to the Attorney General’s Office, there was not enough evidence linking them to the crime. Major Mahama, an Officer of the 5th Infantry Battalion at the Burma Camp was on duty at Dankyira-Obuasi in the Central region on May 29, 2017 when some residents lynched him allegedly mistaking him to be an armed robber because he had a pistol in his back pocket. The mob ignored his pleas that he was an officer of the Ghana Armed Forces.